The mortality rate in Puerto Rico rose by 62% after Hurricane Maria, according to a new study led by researchers from Harvard T.H. Chan School of Public Health. The study was conducted in January and February 2018, in collaboration with colleagues from Carlos Albizu University in Puerto Rico and the University of Colorado School of Medicine. The researchers concluded that the original estimate of 64 excess deaths due to Hurricane Maria is likely to be a substantial underestimate. The study estimates a death rate of 14.3 deaths per thousand between September 20 (date of Hurricane Maria) and December 31, 2017, up from a rate of 8.8 deaths per thousand at the same time in 2016. About one-third of the reported deaths in the households surveyed in the study were attributed to delayed or prevented access to medical care. The study was published online May 29, 2018 in the New England Journal of Medicine. 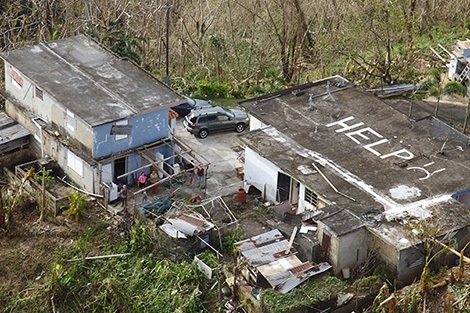 As with any major natural disaster, assessing the loss of life caused by Hurricane Maria was difficult and contentious. For disaster-related deaths to be confirmed in Puerto Rico, bodies must be transported to San Juan or a medical examiner must travel to the region to verify the death. This makes it difficult to log deaths that were caused by delays in treatment or chronic conditions that worsened in the aftermath of the storm. In December 2017, media reports suggested that the official death toll was significantly underestimated. To produce an independent estimate of lives lost as a result of the storm, the researchers surveyed 3,299 randomly chosen households across Puerto Rico. Participants were asked about infrastructure damage, displacement, and deaths. Results from the survey showed that there were an estimated 14.3 deaths per 1,000 people between September 20 and December 31, 2017. By comparing this post-hurricane mortality rate with the same time period in 2016, the researchers estimated that there were 4,645 additional deaths in the three-month period following Hurricane Maria. In addition to a significantly higher death toll, the study showed that the average household went approximately 41 days without cell phone service, 68 days without water, and 84 days without electricity following the storm. More than 30% of surveyed households reported interruptions to medical care, with trouble accessing medications and powering respiratory equipment being the most frequently cited challenges. Household-based surveys such as these are well studied in the scientific literature and offer a cost-effective, rapid approach in the aftermath of a disaster. The researchers have made all of their anonymized data, analysis, and code publicly available for review. Support for the study came from Harvard T.H. Chan School of Public Health and the University of Colorado School of Medicine, Department of Emergency Medicine, Section of Wilderness and Environmental Medicine.